The Treasure Valley is no ordinary place. With more and more people discovering what a great location it is to live and vacation, it’s no wonder we are growing in popularity! With the perfect mix of outdoor adventure and city life amenities, the Treasure Valley offers an amazing array of fun activities like shopping, dining, hiking, swimming, biking, boating, camping and more. With so many things to do and places to explore there’s endless fun to be had for the sunny days ahead! New to the area or looking for something more specific when it comes to summer activities? At Syringa Property Management, we’ve got you covered. While there are far too many possibilities to cover them all, below is a list of our favorite things to do in the Boise area this summer! Summer Concerts – In the past, it wasn’t uncommon for locals to take a road trip to Salt Lake City for a concert. 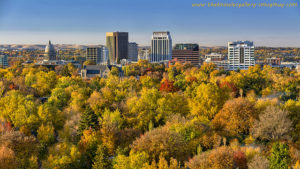 However, Boise has become quite the itinerary destination for big-name, musical talent over the past few years with tours like the Vans Warped Tour, the Boise Music Festival, and the Mountain Home Country Music Festival. 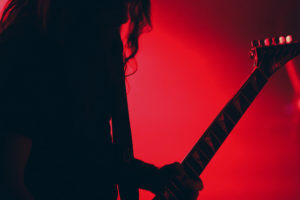 In fact, concert venues throughout the Treasure Valley have hosted stars like the Eagles, Styx, Carrie Underwood, Miranda Lambert, One Direction, Motley Crue, Katy Perry, Imagine Dragons, Ariana Grande and more. Idaho Shakespeare Festival – Attending a performance at the Idaho Shakespeare Festival is one of the greatest pleasures one can have on a warm summer evening in Boise. With the opportunity to pack your own food and drinks, you will enjoy the gorgeous backdrop of the Boise foothills as you take in world-class talent in a nature-filled outdoor amphitheater. Shows run from May through September with a collection of Shakespeare performances and other classical playwrights for the perfect, summer night out. Float the Boise River – Floating the Boise River is probably the #1 rated thing to do in Boise on a hot summer day. From river adventure seekers to those looking for cool relief, you can find rafts and tubes for rent at Barber Park and get out at Ann Morrison Park with shuttle rides available. The float takes approximately 2-3 hours over a six-mile stretch as you beat the heat with friends and family for a refreshing afternoon activity. Roaring Springs – As the Northwest’s largest water park, Roaring Springs features relaxing and adrenaline pumping fun for every member of the family. This sprawling water park offers a variety of rides including speed slides, a lazy river, and wave pool along with popular attractions like the Corkscrew Cavern, Cliffhanger, Thunder Falls, Kiddie Kowabunga, and the Viper’s Vortex just to name a few. Open from May through September, Roaring Springs offers daily, nightly and season passes along with group discounts and family slide nights. Zip Idaho – Zip Idaho is Idaho’s Ulti mate Zipline Adventure! Located just a half an hour north of Boise in beautiful Horseshoe Bend in Highway 55, this unique, eco-adventure combines tree based canopy-tour style zip lines with lines up to 2000 ft! As a great half-day adventure there are plenty of other activities to do in the area like whitewater rafting, swimming, mountain biking, and fishing. 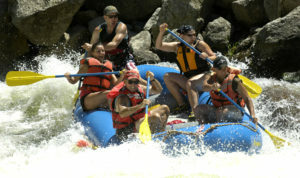 White Water Rafting – Looking for a little more adventure just outside of the city? Cascade Raft & Kayak offers daily whitewater rafting and kayaking trips less than one hour from Boise along the Payette River. As an area favorite, people of all ages enjoy the adventure of playful rapids, splashy whitewater, swimming, relaxing and floating for the perfect summer day activity. Boise River Greenbelt – If you enjoy leisurely walks and bike rides down a shaded path that takes you in and out of urban environments and lush riverbank territory, then the Boise Greenbelt is the place for you. As a wonderful community amenity, the greenbelt connects bikers, walkers, and people who enjoy spending time outdoors. Stretching from Lucky Peak all the way to the City of Eagle, the Boise Greenbelt not only provides visitors with access to the river, it passes by popular destinations like the BSU campus, Zoo Boise, the Discovery Center of Idaho, the Boise Art Museum and numerous restaurants, pubs, and parks. Zoo Boise – Zoo Boise connects visitors to the wonders of wild creatur es from around the world. From pandas to penguins, enjoy a close-up encounter of where the wild things are with some of your favorite zoo animals. Located in the beautiful Julia Davis Park, near the Boise Greenbelt, Zoo Boise offers a unique educational and recreational experience for visitors of all ages. 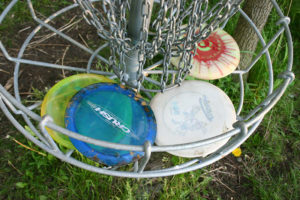 Area Disc Golf – With courses springing up like wildflowers, enjoy a challenging game of disc golf at any of the Treasure Valley’s incredible courses like Ann Morrison Park, the Kuna Greenbelt, Sandy Point Beach, Eagle Island State Park and the Bogus Basin Ski Area. With several courses located in and around Boise, this inexpensive, fun-to-play (at any level) sport offers an enjoyable outdoor experience for the whole family! Thinking of relocating? Whatever your interests may be, the Treasure Valley is a fabulous place to live, work and visit! When you consider the thriving economy, top-rated schools, vibrant neighborhoods, and fantastic real estate opportunities, it’s no wonder people choose one of our Treasure Valley communities when they are looking for a change in scenery. If you are considering a move, let Syringa Property Management work for you. Our dedicated team of professionals are committed to providing our residents with the highest quality of life possible. If you would like more information about any of our Idaho rental communities, contact our Boise property management team at (208) 336-4610 today.